L1 rat brain lysates L2 rat heart lysates probed with Anti CD86/B7-2 Polyclonal Antibody, Unconjugated (ABIN736701) at 1:200 overnight at 4 °C. 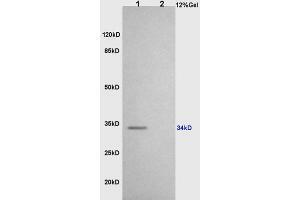 Followed by conjugation to secondary antibody at 1:3000 for 90 min at 37 °C. Predicted band 34kD. Observed band size:34kD. 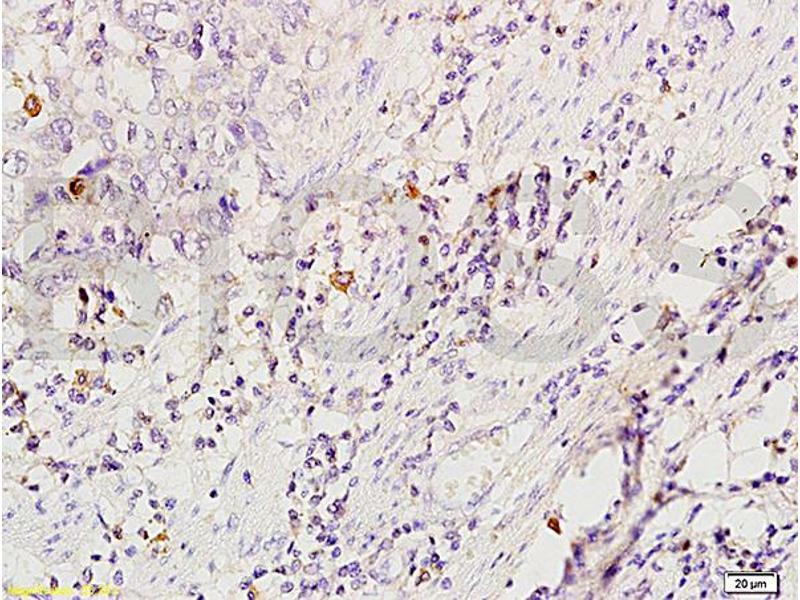 Formalin-fixed and paraffin embedded rat lung labeled with Anti-CD86/B7-2 Polyclonal Antibody, Unconjugated (ABIN736701) at 1:200 followed by conjugation to the secondary antibody and DAB staining. 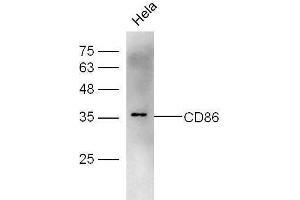 HeLa cell lysates probed with Rabbit Anti-CD86 Polyclonal Antibody, Unconjugated at 1:500 for 90 min at 37˚C. This gene encodes a type I membrane protein that is a member of the immunoglobulin superfamily. This protein is expressed by antigen-presenting cells, and it is the ligand for two proteins at the cell surface of T cells, CD28 antigen and cytotoxic T-lymphocyte-associated protein 4. 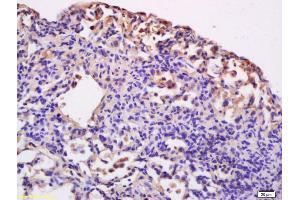 Binding of this protein with CD28 antigen is a costimulatory signal for activation of the T-cell. 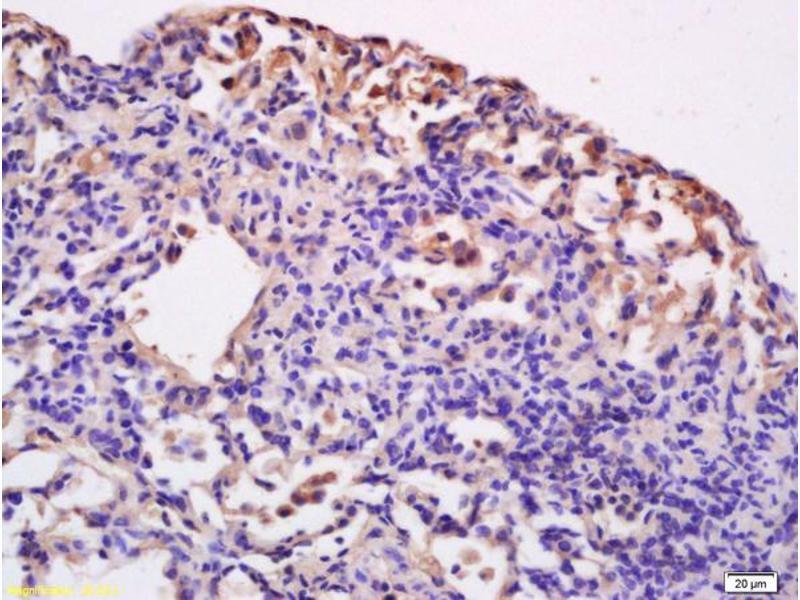 Binding of this protein with cytotoxic T-lymphocyte-associated protein 4 negatively regulates T-cell activation and diminishes the immune response. Alternative splicing results in several transcript variants encoding different isoforms. [provided by RefSeq, May 2011]. 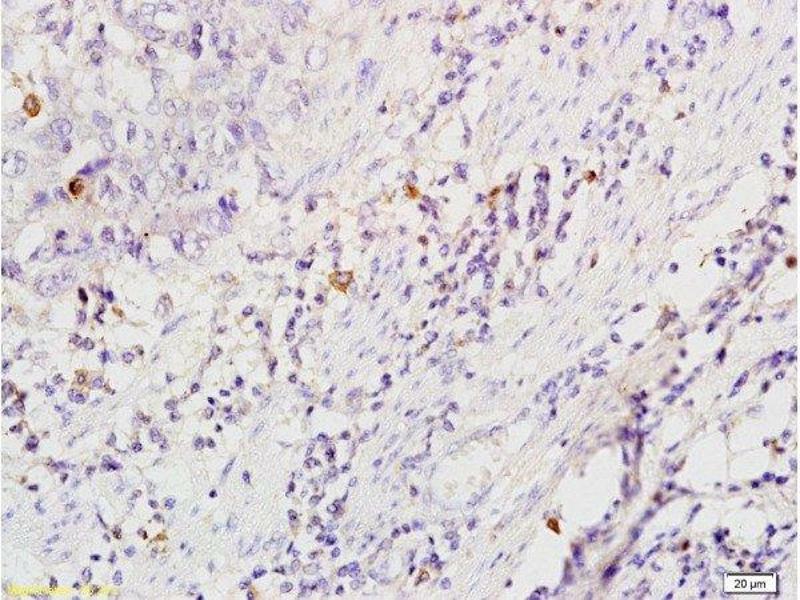 Han, Wang, Qin, Xia, Wu: "LPS alters the immuno-phenotype of glioma and glioma stem-like cells and induces in vivo antitumor immunity via TLR4." 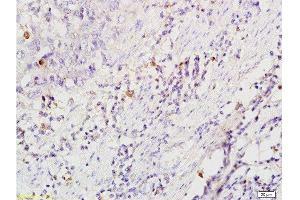 in: Journal of experimental & clinical cancer research : CR, Vol. 36, Issue 1, pp. 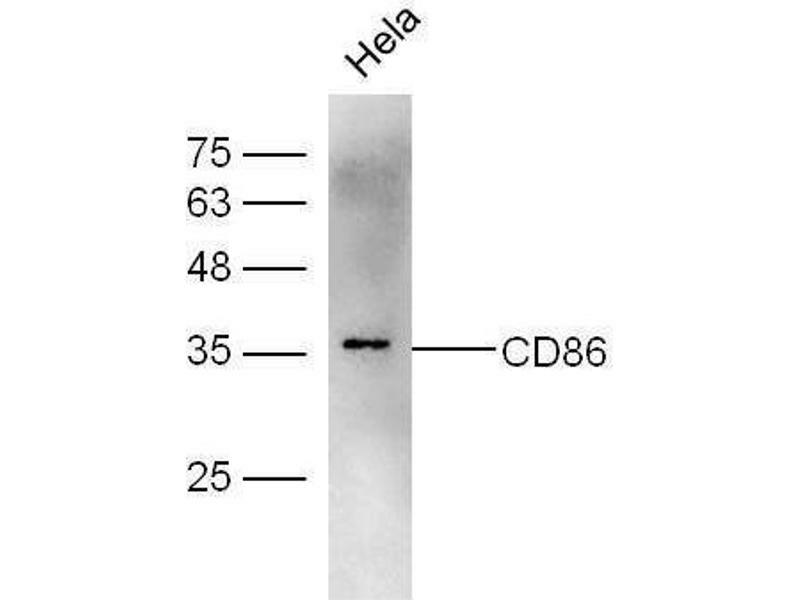 83, 2017 Method employed by authors: Western Blotting (WB) (Sample species: Human). Evans, Jonason, Bussler, Torno, Veeraraghavan, Reilly, Doherty, Seils, Winter, Mallow, Kirk, Howell, Giralico, Scrivens, Klimatcheva, Fisher, Bowers, Paris, Smith, Zauderer: "Antibody blockade of semaphorin 4D promotes immune infiltration into tumor and enhances response to other immunomodulatory therapies." in: Cancer immunology research, 2015 Method employed by authors: Immunohistochemistry (Paraffin-embedded Sections) (IHC (p)) (Sample species: Mouse (Murine)).